We just want to give drivers some information in advance of Round 2 of the 1/10th Off Road Electric Nationals. Track open from 9 to 10 for open practice. Qualifying will be 3 rounds, Round by Round, with best 2 rounds to count. Finals will be 3 legs, with best 2 to count. Timing system is Mylaps RC4. Please see www.nnn.ie for location details. Race fee is €10 for first class, €5 for second. 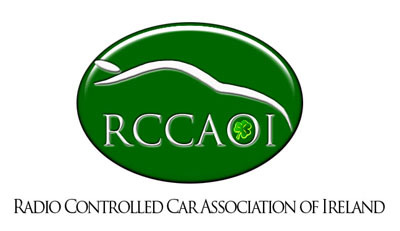 You must be a member of the RCCAOI and an affiliated club to race. Please join before the race day, though we will take forms on the day. Remember, if you want to race 2WD and 4WD 1/10th this is now considered 2 classes, so you must sign up for both. We can’t answer questions on Facebook, as there are too many groups to monitor!